How to Edit Spotify Music Info without Line-In? Solved! How to Edit Spotify Music/Playlist Info? Fixed! 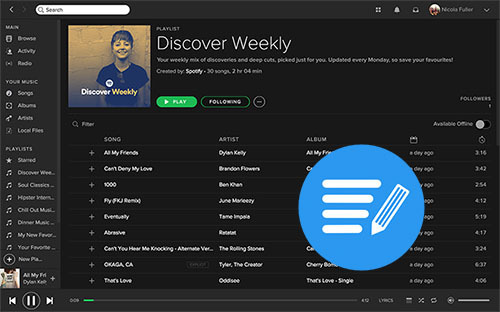 Let users edit Spotify songs info for getting useful and accurate Spotify content, Spotify has already released an official music metadata editor, called Line-In in May 2018. 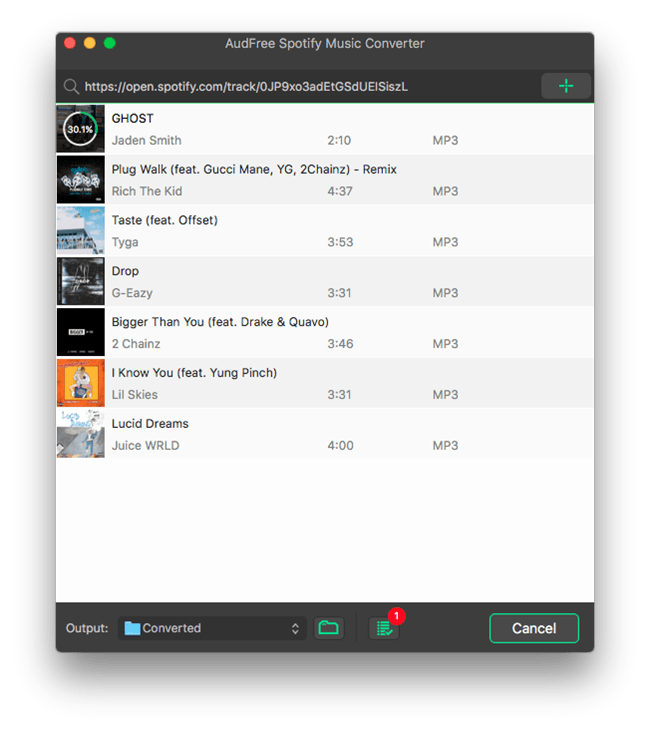 It allows Spotify users to edit music metadata for Spotify, like genre, label, tags, mood, etc. While, less than three months, Spotify has announced a note saying 'we've made the difficult decision to shut down Line-In' on its Community. This is the reason why you can't edit Spotify info in Spotify anymore. Apart from waiting for it comes back, is there an alternative way to bring it back? Fortunately, the answer could be positive. In this article, we will share you with the successful experience in editing Spotify songs. Although there is no official Line-In feature of songs for editing on Spotify, there are still some other effective and professional tools to fix it out. 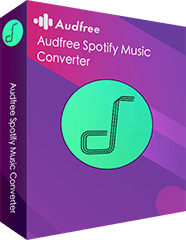 Here, we can meet the third-party software for Spotify, namely AudFree Spotify Music Converter. It's specially designed for downloading, converting as well as editing Spotify songs, playlists and other popular content with ease. If you'd like to customize listening audio quality of Spotify music, such as changing bit rate, sample rate, you can directly use AudFree Spotify music editor to achieve it. If you'd like to cut music on Spotify, or customize ID3 tags, like like renaming songs on Spotify, you still need to get help from this software to download Spotify songs to your computer offline. 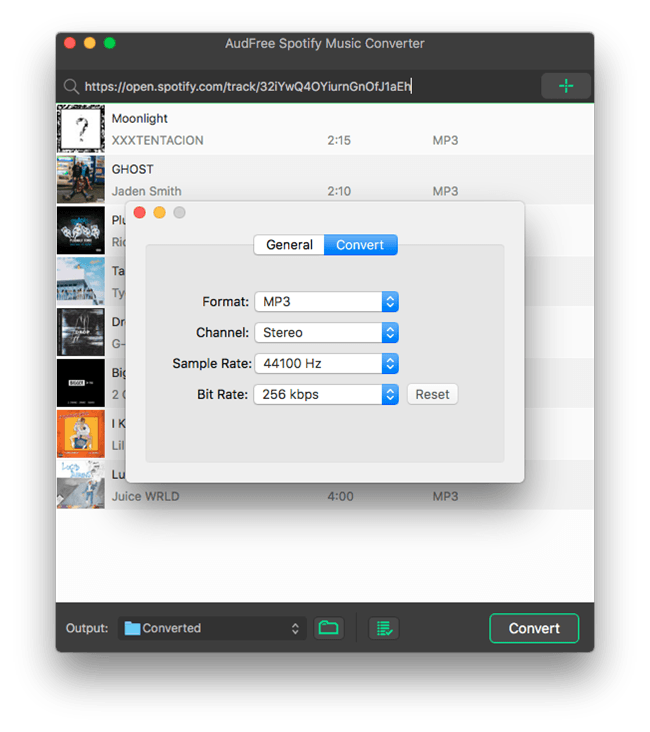 After downloading, you can freely edit downloaded Spotify music with free audio editors, like iTunes. Edit Spotify music, playlist by changing bit rate, etc. First, let's start to use AudFree Spotify song editor to enhance audio quality as you like. By the way, if you need to edit other Spotify music info, you still need to refer to the following steps to download Spotify music and playlists offline in advance. Good news is that this tool is also available for free Spotify users. You don't need to subscribe Spotify Premium for downloading Spotify files. There are two ways for you to import Spotify songs to AudFree software. One is to drag songs from Spotify and drop them to the main interface of AudFree. The other is to copy the URL of Spotify songs or playlists and paste it to the search box of AudFree and click '+' button to load them. To activate the setting feature, please go to the 'Preferences' option from the top menu bar and choose 'Convert' section to launch setting window, in which you can define output format as MP3, FLAC, WAV, AAC, M4A and M4B and customize bit rate as 320 kbps and sample rate as 44,100 Hz to edit Spotify music quality. To apply for all settings and download Spotify files offline, please simply hit on the 'Convert' button at the bottom-right corner of the main conversion window. And then all added Spotify songs will be downloaded and saved in destination folder on your computer. All of them can be transferred to free iTunes audio editor for editing. 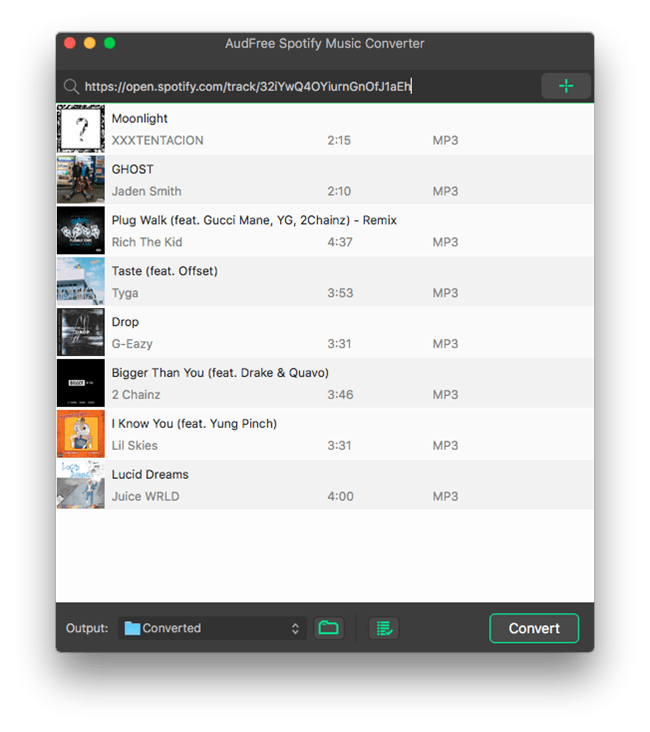 With the assistance of Spotify music converter, you can get Spotify files encoded in MP3 or other plain audio formats with high quality. Now we can start to edit detailed Spotify song metadata. There is no doubt that iTunes seems a good assistant. So here, we will show you how to edit Spotify music info with iTunes. Step 1. When you launch iTunes app, please click the 'File' > 'Add Files to Library' to transfer Spotify files to iTunes. Step 2. Right click the item of imported Spotify songs and select 'Song Info' option to view the complete metadata. Step 3. In the new window, you can start to customize ID3 tags, like title, artist, album, genre, year, etc. for editing. Tips: If you'd like to cut or split Spotify music into smaller segments, you need to turn up to other audio editors, like Audacity. Since the process is easy, here we don't give further introduction. Although you won't be able to edit Spotify song info because of the lack of Line-In feature, you can still edit Spotify playlists only if you have made a collaborative playlist on Spotify. Just need to create your own Spotify playlist and then you can edit the details of playlist on Spotify. Here, we will take Windows 10 as example to show the easy guide. Step 1. Open Spotify desktop app on your Windows 10 computer. Step 3. Hit on the three-dot icon and please select the 'Edit Details' option. Step 4. 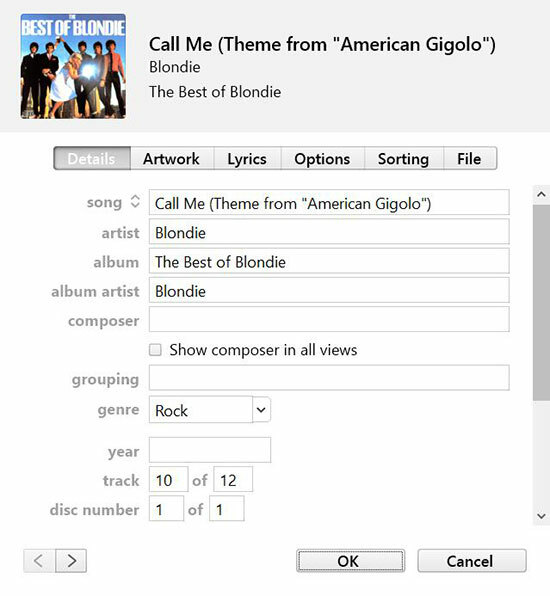 Now, you can modify song info, like title, description as well as image as you like. How to Add Local Files to Spotify? Solve! Best Ways to Fix Spotify Error Code 4 How to Backup Spotify Playlists? Solved!